Harry Wilhelm has updated his XB Game Developers Package. The software allows you to create arcade quality games in Extended Basic. I've posted part 2 of my article on using the Gotek floppy drive emulator on a TI. I provide details on adding an LCD display to the Gotek as well as a 3rd selection button. -The 'Guide to Programming the CC40' referenced on the CC40 page had been scanned and is available as a PDF. -The CC40 User's Guide that has been available as a download for some time now has been cleaned up quite a bit. Each PDF page used to have two facing pages from the guide, but they have now been split so that each page from the book is now on a separate PDF page. Pages have been rotated 90 degrees clockwise and also de-skewed so that they can be read more easily on a computer screen, and I also cleaned up the pages quite a bit by removing specks and other junk. Links to download the PDFs can be found on the CC40 page, or you can find them in the book/manual sections of the 99er Download Database. 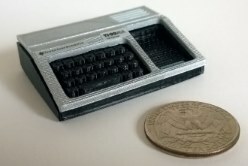 Rabbit Engineering makes these awesome miniature TI-994/A consoles on a 3D printer. If you're lucky enough to have a 3D printer, you can download the files to make your own. If not, you can follow the link to their Etsy store and buy one that's all painted and ready. I've started building a database of TI99 hardware, software and literature. You can read a little more about it in the forum, and you can check it out at: ti99db.99er.net. I've created a sort of 'file dump' at as a place to quickly upload files before I get around to adding them to the regular download section with a full description, file info, etc. The file dump has minimal descriptions (if any), but the filenames should give you an idea of what they are. Right now, it's all manual scans in pdf, and Win994a floppy images. The images in the 'Micropendium' directory are all disks that I received from John Kohler of Micropendium after the magazine shut down. The file dump can be found at : www.99er.net/filedb. 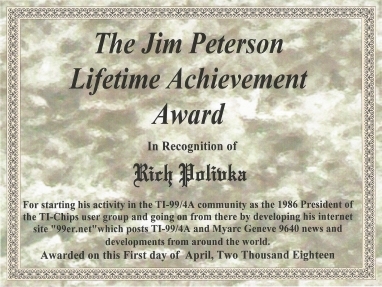 There is a new newsletter out for the TI-99 from Chris Schneider. Visit his Shift838 website to sign up, and download a PDF copy of the first newsletter from the WHTECH FTP site. 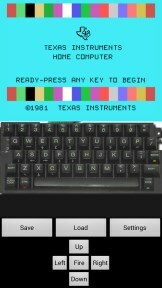 There is finally a TI-99/4A emulator available for Android phones. You can download it from the Google Play store so that you can carry the TI around with you wherever you go. 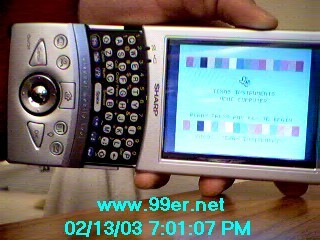 It comes with a number of cartridges ready to use, and you can also load ROM and disk images if you want to. Check back soon - I'm working on a short review, but so far, I'm really impressed!